Surely credit card debt is expensive and can land you in big financial trouble, but you only have yourself to blame if this happens. Having a credit card to use in times of emergencies can be a very helpful tool. 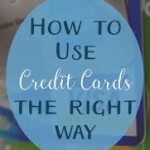 If you use your card responsible and not misusing it, it is very unlikely that you will fall in a debt trap that you can no longer handle..
Get some tips here on how to handle your credit card debt.